The people behind one of the popular XCOM: Enemy Unknown and its expansion Enemy Within Long War mod have recently formed a brand new studio aptly named Long War Studios and have also revealed a brand new strategy game called Terra Invicta. On its recently launched Official Website, Long War Studios have shared the first details on Terra Invicta, which promises to be a strategy game with a rather huge scope where players will have to lead the defense of Earth during an alien invasion. Terra Invicta is a grand strategy game in which the player leads the defense of Earth during an alien invasion. As revealed on the team’s website, the game is currently in pre-Kickstarter development so not much is currently known about it. Considering the quality of the Long War mod, however, fans of strategy games should be in for something very interesting. The XCOM: Enemy Unknown and Enemy Within mod Long War is one of the best mods released for the Fireaxis strategy game and its expansion. 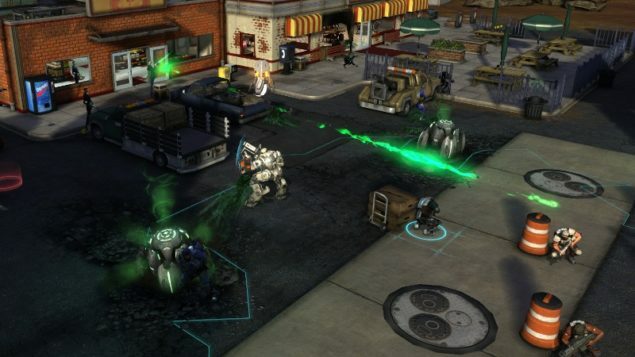 The mod comes with a long list of features that vastly expand the XCOM experience such as a longer campaign, new and modified perks, an expanded psionics tree, a system of promoting XCOM officers who provide abilities that help the entire squad and much more. Terra Invicta is currently in pre-Kickstarter development by Long War Studios. We will let you know more about this strategy game as soon as more is shared on it so stay tuned for all the latest news.